On July 15th, Lil Wayne hosted and performed live at STORY Nightclub in Miami, Florida. 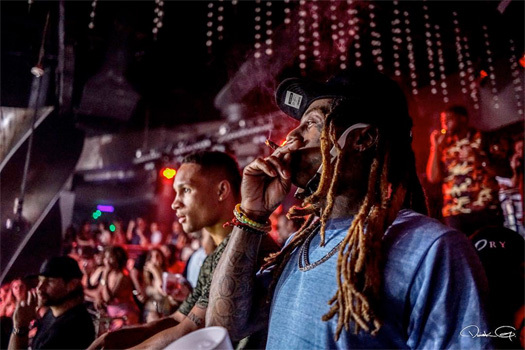 Weezy attended the club with his Young Money artists Gudda Gudda, HoodyBaby, Jay Jones, T@, and boxer Regis “Rougarou” Prograis. You can watch a recap of Tunechi at STORY Nightclub last weekend in a clip after the jump below, courtesy of Derick G! In the video above, you can watch some more behind the scenes footage from Young Money‘s “We Alright” video shoot featuring Lil Wayne, Birdman, and Euro. 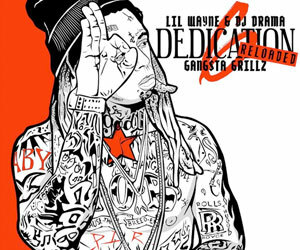 Appearances in the clip above that was filmed by Derick G can also be seen by Colin Tilley, Chanel West Coast, Detail, Mack Maine, Santi Cargo Rubirosa, and YoYo. Click here to watch the official music video for “We Alright“. The Young Money: Rise Of An Empire compilation drops in a week! In the video above, you can watch a recap of Lil Wayne and his Cash Money family in Paris, France from earlier this month, courtesy of Derick G.
Birdman and Slim can be seen going on a tour around the city, visiting museums, checking out the Eiffel Tower, and taking pictures with fans at their hotel. 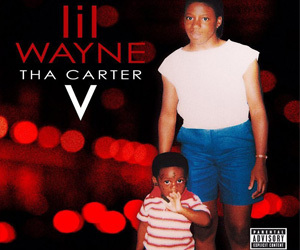 Also included in the clip is front row footage of Weezy F Baby performing live at the Palais Omnisports de Paris-Bercy and attending his after-party at VIP ROOM. After his concert in France on October 16th, Lil Wayne hit up Paris’ #1 nightclub for his official after-party – VIP ROOM. Tune was joined by Birdman, Derick G, €uro, T@, and French music artist Jean Roch. 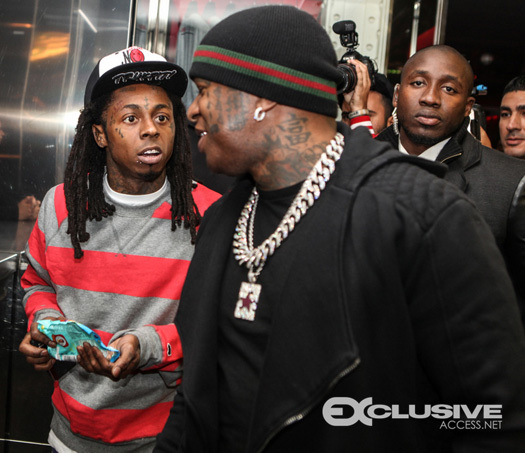 You can view plenty more photos of Weezy F Baby attending the nightclub after the jump below! In the video above, you can watch some footage of Lil Wayne celebrating his birthday at LIV nightclub on September 29th and Mansion nightclub on September 30th, courtesy of Derick G.
Joining Weezy F Baby to help him celebrate turning 31 was Birdman, Mack Maine, Diddy, Bun B, and Flo Rida. The staff at LIV also presented Tune with a cake inside the club! Click here to view some photos of Wayne at LIV nightclub in Miami, Florida. Above, you can check out some official behind the scenes footage from Lil Wayne‘s “God Bless Amerika” video shoot featuring appearances from Birdman and Mack Maine. Eif Rivera shot the visual in Weezy F Baby‘s hometown Hollygrove, New Orleans on June 15th. Click here to watch the official music video for “God Bless Amerika” that premiered last night and here to view photos from on set of the video shoot!